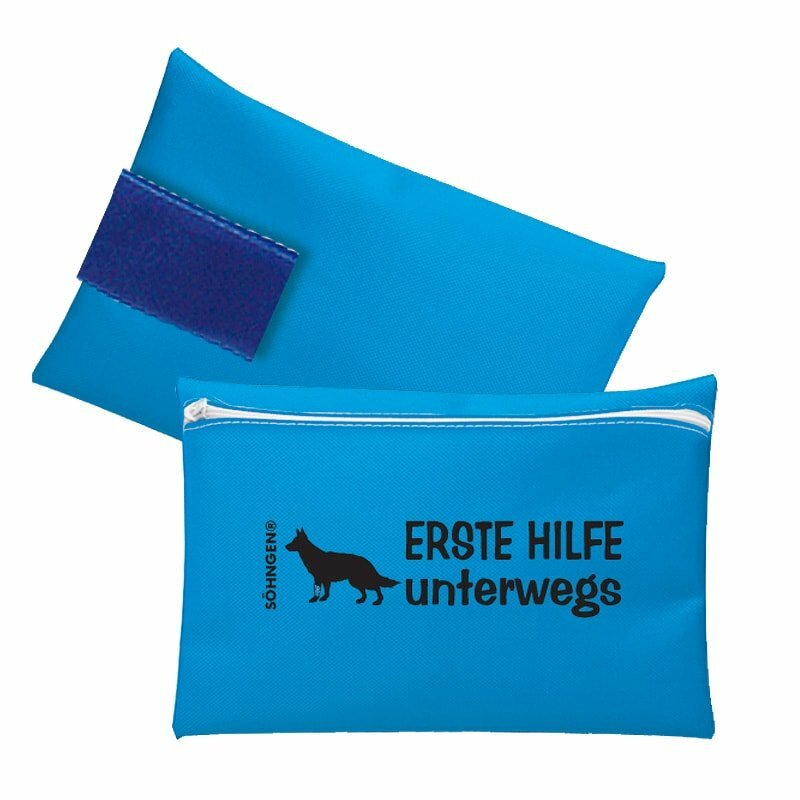 This small first aid bag for dogs by Söhngen is a handy zip bag made from coated nylon fabric, ideal for taking on hikes and walks with the dog. With the handy Velcro strap, it can easily be attached to a belt, umbrella, trekking pole, or to bigger dogs' harnesses, for example. The "Woof-woof at home & on the go" first aid kit is ideal for dog owners, dog trainers and animal breeders. The high-quality bag, filled with materials suitable for the animal, is highly visible and easy to carry. The first aid kit for dogs can continue to be used after its deployment. Order products for custom refills from our online shop!